Thanks to a famous anti-drug PSA from the 1980s, we often associate these words with dangerous, ill-advised behavior. But learning from others isn’t necessarily a bad thing. In fact, when we’re talking about online advertising—something we do from time to time—learning from others is one of the smartest things you can do. 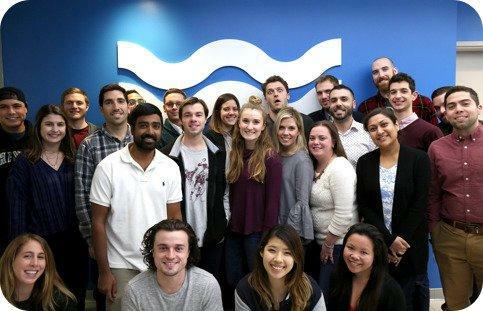 That’s why our Director of Managed Services, Zina Kayyali, and our Director of Customer Success, Phil Kowalski, crunched some numbers and determined exactly why WordStream’s top-performing customers enjoy so much success. In this article, we’ll break down the most crucial insights from Zina’s and Phil’s research. Apply them to your marketing strategy and you’ll be yelling at your dad in no time. Or … something like that. To generate the stats and lessons you’ll find below, Zina and Phil dug through 13 months of WordStream customer data—from September 2017 until September 2018. Specifically, they were interested in tracking two KPIs: gross conversions and CPA. The top-performing WordStream customers were those who drove a lot of conversions while significantly reducing the amounts of money required to do so. Of the 25 accounts named our top performers, 17 leverage WordStream Advisor to more efficiently manage their paid search and social accounts while the remaining 8 pass off those responsibilities to our Managed Services team. 19 of them use our software and services to generate more (and more highly qualified) leads. The other 6 are in the business of selling products online. And, no—our top-performing customers aren’t our highest-paying customers. Although some of them spend as much as $300,000 per month on online advertising, several of them work with monthly budgets below $1,000. Let’s find out how they did it. According to Zina’s and Phil’s research, two pillars support successful online advertising campaigns: diversity and simplicity. Underlying the first pillar is a familiar principle—don’t put all your eggs in one basket. There’s a key distinction between Search advertising and Display advertising: whereas the former allows you to advertise your product or service to consumers when they’re actively looking for it, the latter allows you to spread your brand across the Web via banner ads. Generally speaking, Search ads drive higher CTRs and CVRs than do Display ads. This makes sense: consumers are more willing to click and/or convert when they’re actively looking for solutions to their problems. The WordStream customers who find the most success recognize that Search and Display are built for different purposes. 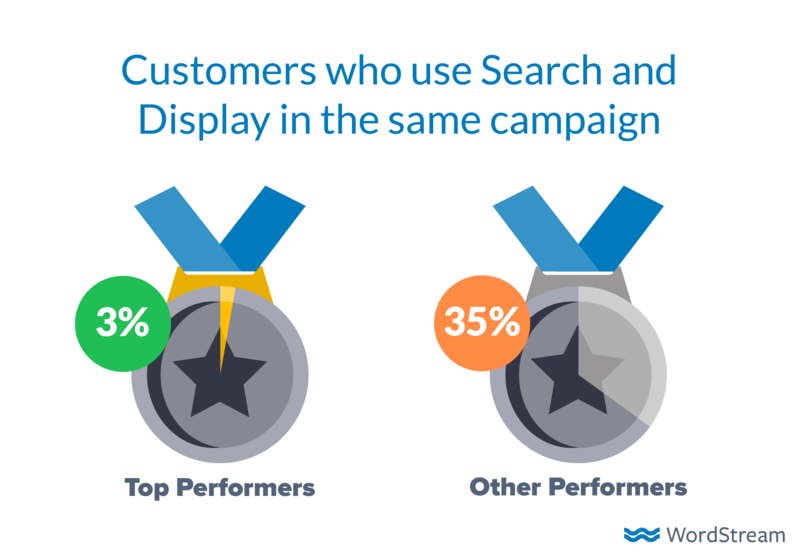 As such, it’s no surprise that only 3% of our top performers use Search and Display within the same campaigns (vs. 35% of everyone else). Nonetheless, Display ads are powerful—and the proof is in the numbers. The majority of our top-performing customers use Display ads. The majority of our other customers don’t. Plus, our customer data show that using Search and Display in tandem yields a 31% boost in brand lift (an indicator of the extent to which consumers interact with your brand). The Google Display Network (GDN) isn’t solely about branding, either; you can leverage it for conversion-based goals. Specifically, our top advertisers use 3 audience targeting solutions to drive a lot of conversions at low costs: Remarketing, Similar Audiences, and Custom Intent. Remarketing via the GDN is the practice of serving Display ads to consumers who’ve interacted with your business in some manner—visited the homepage of your website, engaged with specific resources on your website, begun to fill out a form, etc. The idea is that you can use remarketing to keep your brand at the top of the consumer’s mind. Our top-performing customers take it a step further: they segment their remarketing groups according to intent. The prospects who’ve only visited the homepage land in a lower-intent group while those who’ve registered for a demo land in a higher-intent group. Segmentation ensures that your Display ads are as appropriate and as focused as possible given the prospect at hand. Similar Audiences is simple: it enables you to target consumers who behave similarly to those who are already inside your marketing funnel. It’s an incredibly easy and efficient way to spread your brand messaging to a wider (yet still relevant) audience. Display advertisers who use Similar Audiences yield 60% more impressions, 48% more clicks, and 41% more conversions. You better believe our top performers take advantage of it. Like Similar Audiences, Custom Intent Audiences are a manifestation of Google’s drive to capture the magic of Facebook’s audience-centric advertising logic. Here’s how it works. Google crawls your Google Ads account and your website to figure out what you’re trying to sell. Then, it cross-references your digital profile with its scores of data regarding consumer search behavior. The end result: auto-generated audiences of consumers whose online activities indicate that you should be advertising to them. 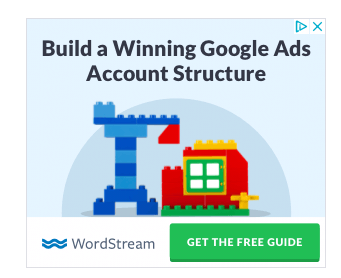 Top WordStream customers set themselves apart from the rest by supplementing the audiences automatically created by Google by designating specific search terms on which to base further audiences. 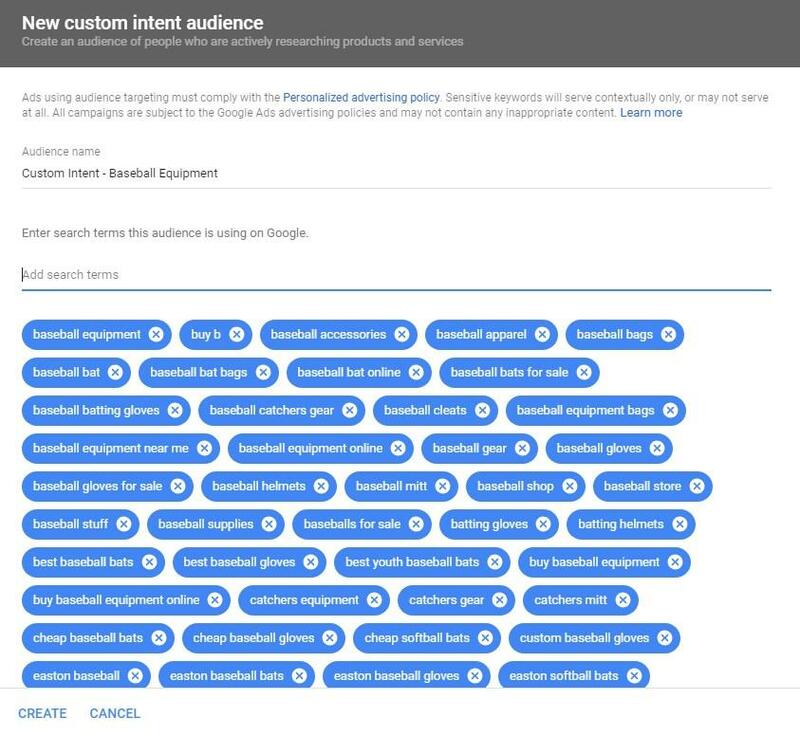 And, as with Remarketing Audiences, Custom Intent Audiences can (and should!) be segmented according to intent. 6 of the 25 customers whose success blew away Zina and Phil were ecommerce vendors. On average, these high-performing eccomerce advertisers allocate 78% of their online advertising budgets to non-Shopping platforms. 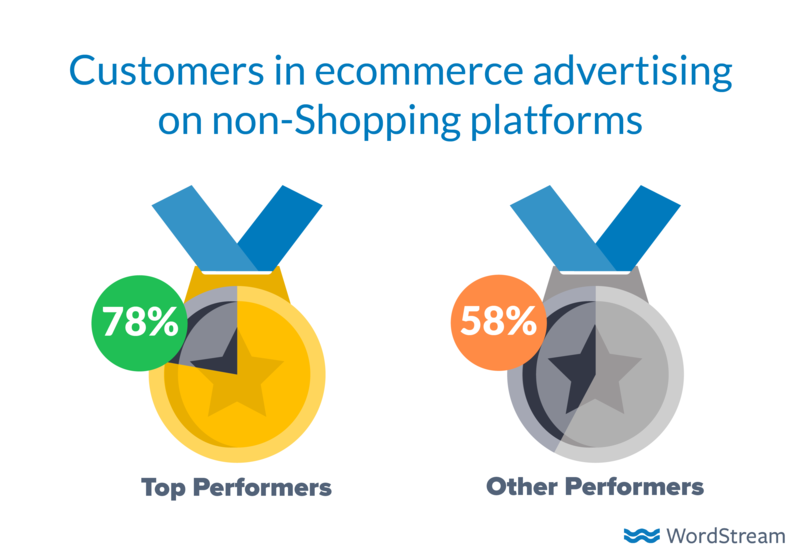 Among all the other ecommerce vendors who use WordStream, that figure drops to 58%. Big spenders: All 6 ecommerce clients spend at least $15,000 each month in ad spend. Budget-constrained advertisers may be better off seeking a different ad spend distribution. Custom order sites: Some of these ecommerce businesses were custom order sites, where the product is less likely to attract high-intent users who are ready to transact immediately. Clients like this will need to invest more in Search and Display. High AOV/High consideration products: Clients like these will need to invest more in Search and Display to reach a user’s varying consideration points. That means that these clients in particular benefited from a majority of ad spent in Search and Display; this won’t always be the case for ecommerce advertisers, but it does bring up a significant take-away. The most successful ecommerce advertisers are distributing ad spend between Shopping, Display, and Search. So why does it pay to also advertise your ecommerce business on Search? It’s simple: online shoppers are 90% more likely to visit your website if they initially encounter your brand through a text ad. Think like a consumer for a moment. When it occurs to you that you could use a wristwatch, you probably don’t Google “wristwatch” and click on the first Shopping ad you see. Rather, you navigate to the text ads, click through to some websites, and let a few different vendors make first impressions on you. The best ecommerce advertisers recognize that their prospects fall into every single nook and cranny inside the marketing funnel. As such, they invest substantially in text ads to drive traffic to their websites and to establish recognition among shoppers. The majority of our top-performing customers (we’re back to talking about all of them—not solely ecommerce vendors) allocate at least 25% of their online advertising budgets to mobile devices; most of them allocate over 50%. Remember: the commonality across these 25 businesses is their focus on conversions. To many, this doesn’t make much sense. If these businesses are so conversion-focused, why are they spending so much money on mobile—the place where conversions don’t happen? Here’s what Zina and Phil found, though: conversions do happen on mobile. The notion that consumers only use their phones when they’re on the go is a fallacy. 60% of mobile use takes place at home—which is where we tend to be when we buy things. Overlook mobile and you’ll get left behind. You know William of Ockham (WOO) was a smart dude because his name includes “of.” If someone with a name that follows the “[blank] of [blank]” format offers you free advice, it’s best to hear him or her out. WOO is known for Ockham’s Razor: the idea that the simplest answer is the best answer. That applies to online advertising. It wouldn’t be a complete discussion of PPC excellence without a look at keywords. Specifically, Zina and Phil wanted to investigate any differences between our top performers and the rest of our customer base in terms of keywords with low Quality Scores. That encompasses every keyword scored between 1 and 3. 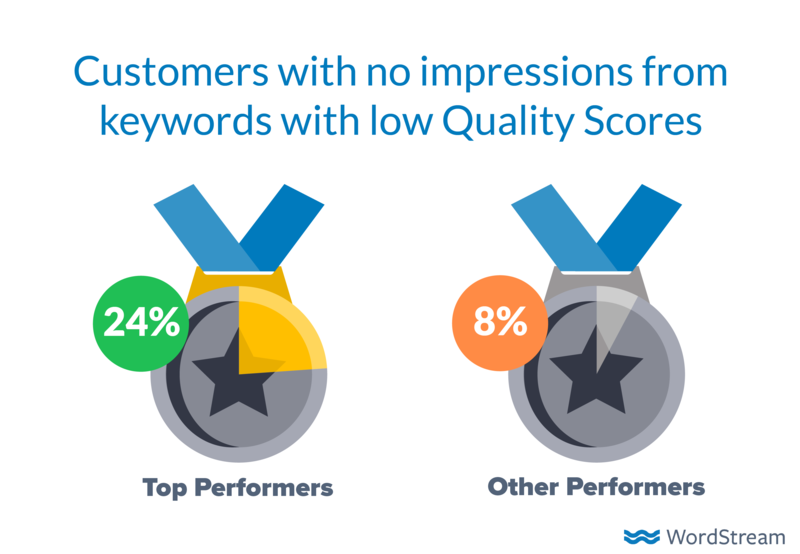 What they found is illuminating: 24% of our most successful customers—practically 1 in 4!—yield few to no impressions from keywords with low Quality Scores. By comparison, only 8% of our other customers can say the same. Evidently, the advertisers who drive the most conversions at the lowest costs purge their low-quality keywords from their Google Ads accounts and allocate the savings to more productive places. Now, that’s all well and good. But what about account structure? Once you’ve done to your low-quality keywords what Greta Van Fleet has done to their artistic integrity—I’m ready to forgive them as soon as they admit they’re a cover band without the covers—how do you go about grouping them? 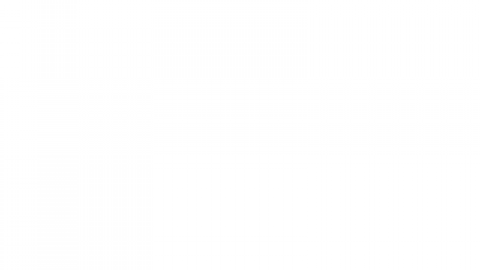 Let’s look at what the WordStream Top 25 do. 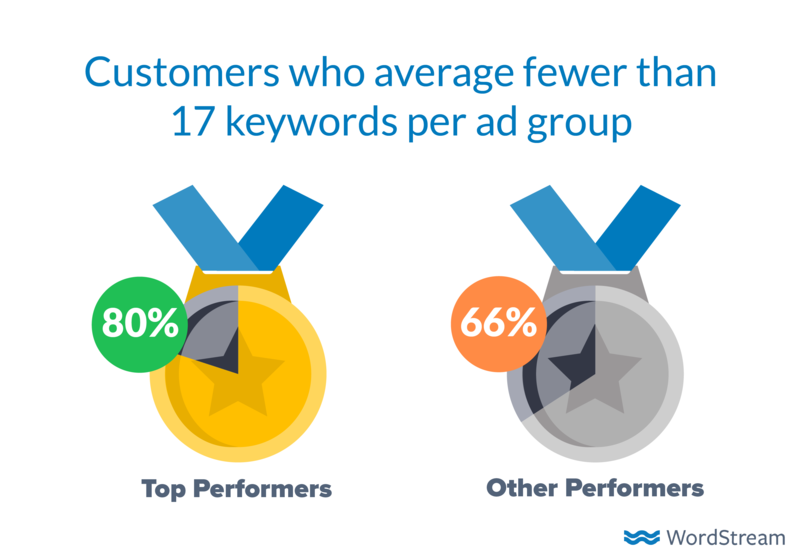 80% of them average fewer than 17 keywords per ad group (vs. 66% of everyone else). 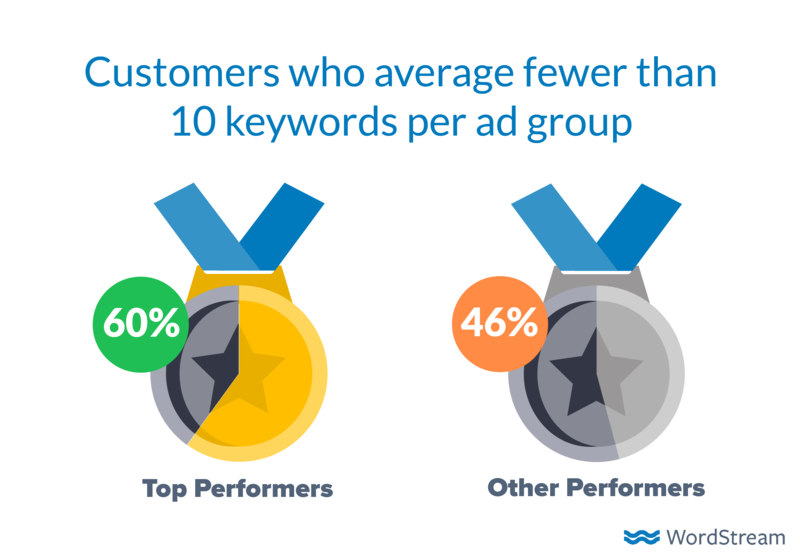 60% of them average fewer than 10 keywords per ad group (vs. 46% of everyone else). Perhaps most importantly, our top performers are significantly less likely to use ad groups with 1 to 4 keywords. 10 to 15 appears to be the sweet spot. The majority of our most successful accounts restrict their ad groups to 3 or fewer ads; they also tend to restrict their campaigns to 5 ad groups. 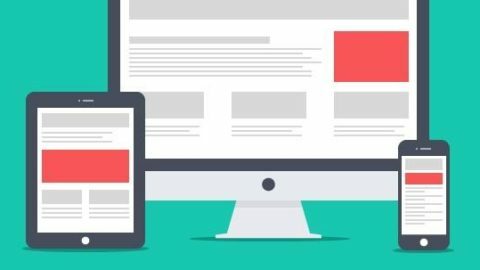 The theme: from the broadest to the narrowest parts of their Google Ads accounts, our top-performing customers keep everything neat, focused, and robust. Use conversion-oriented audience targeting solutions on the GDN. Leverage Search and Display in tandem with Shopping. Purge keywords with low Quality Scores from your account. Aim for 10-15 keywords and 3 ads per ad group. Aim for 5 ad groups per campaign. If you can find a way to incorporate some (if not all!) of these strategies into your online advertising efforts, you, too, will be a top performer in PPC. Huge thanks to Zina and Phil for doing the hard work and to our designer, Maria, for the awesome graphics. Google Releases AMP Stories: What Are They All About?